Harry here. You guys know that I talk about working smarter, not harder a lot, and today’s post is a perfect example of that. Most drivers get into rideshare driving as a casual way to make some extra money, but they could be leaving a ton of money on the table if they’re not tracking their rideshare expenses. This is a sponsored post, but all opinions are our own. Today, RSG contributor Christian Perea tackles the question of how much it really costs to be a rideshare driver. There’s a lot of great info in this post. It is probably the most detailed post on rideshare expenses that I have seen so far. There’s always been a lot of debate over what it actually costs to be a rideshare driver. Many of us get into this game with an idea or guess of what it will cost to operate only to find out that we spend more in some areas and less in others. As a driver, it’s easy to look at the top line income numbers and see how much we’re making, but it’s a whole different story when you start including your rideshare expenses. The best business owners (and yes, as a driver you are technically now a business owner) are looking at their expenses just as often as their income. You may have noticed that we partnered with Intuit’s QuickBooks Self-Employed team over the last few months, so we figured we would use their product to take a look and gather insights into what drivers are spending the most money on and how you can turn those rideshare expenses into deductions come tax time. I created a model based off a combination of my actual expenses, experience, and what other drivers typically spend money on. My goal is to provide a step by step guide on the actual expenses a driver has since that will also lead to the biggest deductions you can take come tax time while helping you calculate your profitability. Wanna Follow Along? Try QBSE out here. I am not a tax professional, this is generalized article using a fictitious driver. Your situation will vary. Harry and I have been using Intuit products for a while. I have personally been using TurboTax since the first time I had to file a W-2. For one reason or another, Intuit keeps coming up with products around the same time I need them for whatever stage of life I am in, and QuickBooks Self-Employed has definitely met that. 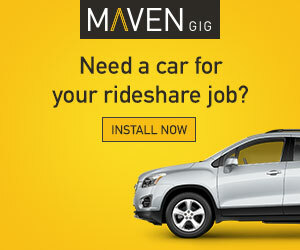 This product is great for rideshare drivers because it acts like a beefed-up version of Mint.com. It syncs with your bank accounts and allows you to easily swipe or sort between your driving expenses. So once you get it set up and running, most of the work becomes automated. When tax time comes, you can choose to sync with TurboTax or download everything to bring to your CPA. Most drivers (myself included) don’t go through the hassle of setting up a separate business entity and the associated business checking accounts. So this means that our personal and business lives are co-mingled in one big mess of a bank account. This is bad. When tax time comes, many are surprised with a large bill as they “guesstimate” their write-offs and expenses. By doing a better job of tracking your expenses and deductions, you could save yourself a lot of money AND a lot of hassle. Let’s call our driver “Casper”. Casper lives in Los Angeles and he has all the typical rideshare expenses of a full-time driver. Drives between 800 and 1,100 miles a week or between 40 and 50 hours. Last year he drove 48,360 miles. 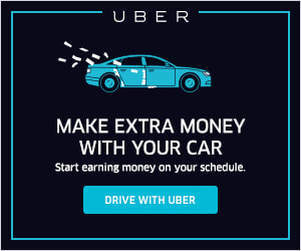 Earns between $800 and $1,2oo a week between Uber, Lyft and Sidecar depending on his motivation, luck, and time of the year (and price-cuts). Casper drives a 2014 Toyota Prius Two that he financed for $18,753 at 9.75% interest. He pays $397 a month for this loan. It’s not the best loan, but he didn’t start with the best credit history either. It is the largest of his rideshare expenses. As a full time driver, with a tank range of about 400 miles he refills his Prius 2.5 times per week. His Prius can technically get better mileage, but Casper prefers to drive with “great haste”. Casper gets his car washed twice a month. He spends $40 bucks because he really likes the place and they do a good job. Casper has health insurance, which he pays for using his rideshare earnings. Looking at the QBSE home screen, we see that Casper had a total of $41,963 in gross earnings deposited into his account from Lyft, Uber, and Sidecar (after their commissions) and rideshare expenses of $18,572 for a business profit of $23,391. We also get a quick break-down of a lot of his biggest costs, like his total vehicle costs ($12,250), health insurance ($2,868) and meals and entertainment ($1,419). One thing to note is that these figures reflect transactions that have occurred in real-time. This means that there is no reflection of vehicle depreciation within QuickBooks Self-Employed. Part of being organized means being able to record and categorize transactions in real-time. The QuickBooks Self-Employed app syncs with your bank account so new transactions should appear whenever you refresh your account. From there, you can snap a picture of your receipt while you still have it (before leaving it in your pockets to be washed a few days later like I usually do). It’s important to take notes on rideshare expenses like coffee or meals, because if an audit occurs, you not only want to have the receipt, but also the reason why it qualifies as a business deduction. Below, you can see that I took notes about meeting with a few of my driver friends on a Friday night to discuss the business conditions and operational risks of our business. This will then automatically reflect in its appropriate category when you login to the web-based client for QuickBooks Self-Employed. That way all of the records are there. I have also found it to be an interesting way to go back and see what was on our minds on any given particular day. Maybe you have noticed that the tone of meeting with fellow drivers can vary significantly depending on how busy it is or if there has been a recent price-cut. QuickBooks Self-Employed syncs with 1000’s of banks and does it pretty seamlessly. It took me about 3 minutes to sync my accounts from US Bank, Paypal, and Capital One. Note On Importing Your Transaction History: Most financial institutions only reflect transactions for 90 days. You will likely need a larger history. If you want to reflect your banking history within QuickBooks Self-Employed farther back than 90 days, you can import a CSV file from your financial institution (they are required to have them available) under Settings/Imports/Import Older Transactions. You then select the appropriate CSV file and upload it to begin sorting through your rideshare expenses. Within QuickBooks Self-Employed, we can generate a tax summary report (you can also generate a profit & loss report) to show that after all of Casper’s deductions, his taxable business profit is only $11,106. But wait! Did we just show you something saying his business profit was higher at $23,391? This is because although your business profit is $23,391, the amount that is taxed is only $11,106, because of the $28,113 you were able to deduct. In particular, choosing to take the tax deduction for the Standard Mileage Rate of $0.575 in 2015 when Casper drove his vehicle for 48,360 miles to operate his rideshare business allowed him to deduct $28,113 for his vehicle expense. Let’s walk through the most common rideshare expenses of a driver in Los Angeles. For most drivers, their largest expense is their vehicle. However, there are still plenty of other ordinary expenses related to rideshare and most are tax deductible as you run your small business. For simplicity, we can break them down between “Expenses That Are Your Car” and “Expenses That Aren’t Your Car”. So how do we make sure we can write off all of that stuff? What does it say about how much money you are making as a driver? We will see how one of the benefits to being an independent contractor is being able to write off your ordinary business expenses throughout the year. When done correctly you should be able to minimize your tax liability while still generating a good profit. Your car is the biggest expense you will have as a driver. There are multiple components to your vehicle expenses. For Casper, we see that he spent a total of $12,250 on his vehicle last year, while he was able to deduct $28,113 for his vehicle based on the mileage he drove. He obviously took the standard mileage deduction. So why is there such a big difference between Casper’s actual expenses and the standard mileage rate? QBSE is great for comparing your actual expenses to the standard mileage deduction. The reason there is such a big difference between standard and actual is because the IRS chooses the standard mileage rate each year based off of “an annual study of the fixed and variable costs of operating an automobile.” For whatever reason, this rate tends to be much higher than the actual vehicle expenses of a rideshare driver who uses an efficient car and draws out the fixed costs. For Casper, his biggest write-off on his taxes by far was with his standard mileage deduction. In our model, we found that drivers in Los Angeles last year would generate between $.80 and $1.20 for every mile driven on a given day of full-time driving. This metric tends to get higher the longer a shift goes for, given a driver would be focusing on fares instead of dead-heading back to their house. This metric gets worse for those who have to commute to high-volume areas and higher for those who can remain within high-volume ares for a longer period of time. Think about it, if you have to drive 20 miles before you can grab a trip, that adds 40 miles each time you drive to your total driving miles. This results in a lower $/total miles driven ratio. This metric can be important for those who want to keep mileage low on their vehicle to stay within their warranty period and protect resale value. Automatic mileage tracking screen from within QuickBooks Self-Employed. I tend to record my odometer when I leave the house and when I return home as this tracks my sum of rideshare operations for the day. I assumed Casper did the same, and by driving about 1000 miles a week he managed to rack up 48,360 miles last year! Mileage Tracking Apps: QuickBooks Self-Employed has a mileage tracking component within its iPhone app and plans to launch a version for its Android version as well. Within those apps, you can record all of your mileage and have it automatically update to the “Miles” portion of QuickBooks Self-Employed. There are also other apps to track mileage like MileIQ and TripLog, but they don’t sync with QuickBooks Self-Employed. Although most drivers will end up taking the standard mileage deduction when they file their taxes, we know that is not a good way to measure your actual profit as a driver. This is why you want to track your actual rideshare expenses as well. Let us take a look at what Casper racked up in expenses throughout the year as a driver in Los Angeles. He spent $4,764 on his auto loan at $397 a month. This is an OK auto loan (9.75% is actually quite high) and not every driver will have the same rates or access to credit. For example, if you lease at $195 a week (with Breeze or Xchange for example) you are actually paying a minimum of $9,945 per year to lease a Prius! So your auto loan or leasing situation can dramatically affect profitability. With a high cost lease, you could end up paying an extra $5,181 for your car a year! Auto Loan Interest: $1,693.82 is the interest component of the total $4,764 of the auto loan reflected in QuickBook Self-Employed. The only nice thing about Casper’s high interest rate for his auto loan is that he can deduct it from his taxes ON TOP of the Standard Mileage Deduction! Now this component will not be reflected automatically in QuickBook Self-Employed, but you can manually “Split” your auto loan transaction between “Auto Loan” and “Business Loan Interest” based on the auto interest paid each month. This may require that you check the amount of interest paid each period with your bank though. Depreciation: (Via Straight-Line) $3,450 If you choose to use the Actual Expenses method instead of the Standard Mileage Deduction, you can deduct your vehicle depreciation. Even if you do use the SMD for your taxes, I figure it’s always good to calculate the depreciation of your vehicle. For Casper’s vehicle, I assumed it had a salvage value of $1,500 and a useful lifespan of 4 years. If you want to calculate some depreciation, you can learn about it here, here, and here! Gas: $2,533 This calculation assumed that it costs between $19 and $28 to fill up the tank of a Prius 2.5 times a week based on the gas prices for the time of year. I assumed 400 miles per tank of gas as some drivers report getting better mileage and some less. I also took into account that many of us as drivers tend to drive aggressively between fares. If you buy an older 6 or 8 cylinder car, this can easily become one of your larger rideshare expenses. Repairs: $1,805 This is including a full set of tires, brakes, oil changes X4, and a few plugged tires from driving in the rain. Even though its a new car, because it was driven so much you can expect to have a lot of random small and medium repairs. Hopefully you don’t get into an accident. Washes/Road Services: $1,220 This included spending around $80 a month on car washes. If you think about that, it’s actually pretty low for someone driving full-time. I’m guessing most of us get a cheap wash each week with a nicer one once a month, which still comes out to about $80 a month. Insurance: $1,492 Casper got a good deal on his insurance rate but had to remain fully insured since he financed his car. Obviously insurance costs vary based off of your driving record and the type of vehicle you use to drive. The following rideshare expenses can be written off on-top of the standard mileage deduction. Auto Loan Interest: $1,693.82 See Above. You can write tolls and parking expenses off on-top of the standard mileage rate for your car as long as they are a part of operating your rideshare business. You cannot write off tickets. Sorry. Tolls: Uber will report tolls charged to the passenger as income on your 1099-K, so you need to make sure that you track these throughout the year in order to write them off. Otherwise you’ll pay taxes on tolls you are reimbursed for even though it’s not technically income. If you live in the Bay Area, you know this is a big part of your rideshare expenses. Parking: Snap a picture, take some notes. Deduct what it costs to park will conducting rideshare business. Here’s the tricky part with these, you can only write off the portion of these that you use for business as a rideshare driver. Casper bought a new HTC One M9 for $254.17 in July. He uses 97% of it for his rideshare business (he doesn’t have much of a social life). In order to reflect this in QuickBooks Self-Employed you can select “Split” on the expense and weight it towards 97% of the use. QuickBooks Self-Employed will handle the rest. The same goes with Casper’s T-Mobile phone plan, which he uses 97% of for his rideshare business. Both are common rideshare expenses. Meals And Entertainment: Don’t Miss Out on Deducting This! One of the biggest opportunities for deductions is meals, since these are expenses you’ll take regardless of whether you’re a driver or not. There is a lot of debate over what can and can’t be written off for meals and expenses. Let me clear it up. If you meet with business associates to discuss sales, work strategies, or other cool things related to making more money, you can deduct 50% of your meal as an expense. Caspers “Tax Summary” Report shows how QBSE records spending and deductions for Meals and Entertainment. Within QuickBooks Self-Employed, you would categorize the entire meal under “Meals & Entertainment”, take a photo of the receipt and take good notes on how it related to business. Upon doing that, QBSE will automatically sort the meal appropriately to reflect is as an expense and allow you to deduct 50% per IRS guidelines. Meals and entertainment can be one of your largest deductions if you use it wisely. Personally, I always make sure to meet with other drivers while eating or to organize driver meetups based off whoever is on the road at the time so we can discuss business. To be honest, I feel like Casper should have leveraged this deduction more than he did. In turn, we each get to take that 50% deduction on food we would have eaten anyway. If you think about it, we really need to eat while working and tend to spend extra money in the process since we are on the road. Eating with other drivers is smart because it allows you to learn from others AND it also lets you save money on taxes by making it part of your rideshare expenses! Do you have a Spotify subscription to entertain your passengers? Casper does. He spent $119.88 in 2015 on it and can deduct it under “Commissions & Fees”as part of his rideshare expenses. If Casper uses 50% of the subscription for himself, he will have to split the deduction within QBSE at 50 percent. Since Casper has a subscription for QuickBooks Self-Employed and TurboTax, he can also deduct the $143.88 under “Commissions & Fees” as well. QBSE will ask a series of questions about your healthcare situation with this screen. If you satisfy certain conditions you can deduct your healthcare costs as part of your rideshare expenses. Last year Casper spent $2,868 on healthcare premiums because he is a balla and sprung for the Silver level plan. Since his rideshare business is his primary source of income, he is able to deduct this. There are certain conditions around how and when you can deduct this as an expense and QBSE asks a few questions about your situation in order to make that determination. When all is said and done, you will be ready to export your rideshare expenses to your Schedule C and have all of the documentation to back it up. One of the best things that comes from accurately tracking your expenses and staying on top of your records is lower anxiety about paying your taxes. Further, as you pay your taxes you can record them as expenses each quarter to prevent you from paying taxes on the income that went towards taxes. With Casper, we found that the Standard Mileage Deduction really reduced a lot of his tax liability. When he goes to file his taxes he will also be able to deduct the amount of interest he paid on his auto loan that year ($1,693 according to my calculations above). You can export everything to TurboTax through the “Annual Taxes” Screen. You can choose to either sync your Quickbooks Self-Employed data with TurboTax Home and Business or to download all of your information to print and bring to your CPA. QuickBooks Self-Employed will provide an estimate for your taxes based off of what you record for your rideshare expenses and after you answer a few questions about your tax situation. It’s important to note that this is not a finite number, but a general estimate before you do your taxes so you can get an eyeball-view of what you will likely have to pay each quarter. Last year, Casper paid $1,578 in quarterly estimated taxes. Overall, I still think its valuable to see what your estimated quarterly taxes are based off of what QBSE has gathered. Having the option to pay them from QBSE helps drivers save on any interest and penalties that may be charged by not paying estimated taxes. There is also a cool animation on the screen as you progress through your year. 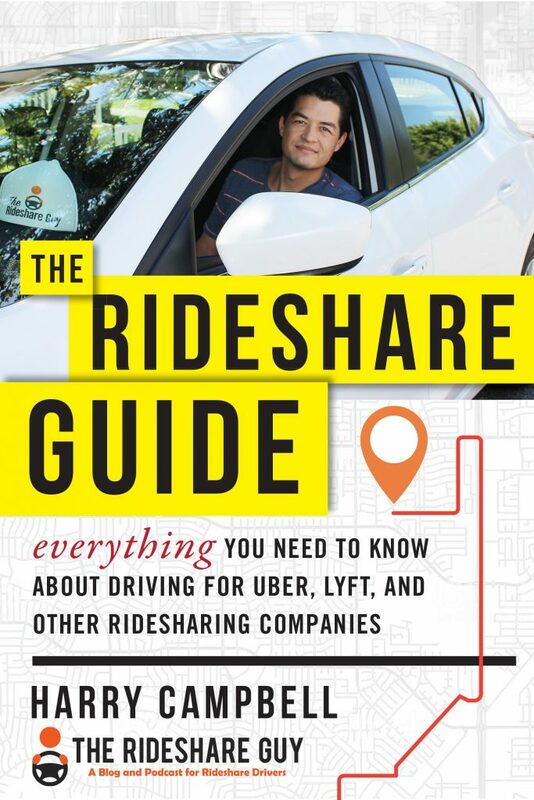 I think the biggest takeaway is that even though the Standard Mileage Deduction is usually the largest deduction, there are still a plethora of large deductions and ways to minimize your tax liability as a rideshare driver. Another thing to consider is that the deductions were significantly larger than the actual business profit of Casper’s rideshare business. Taxes can be stressful because we are effectively measuring how much money we spend so we can then spend more money based on the money we have left over. I think its important to remember that your taxable business profit is not going to be the same as your actual business profit each year due to the nature of the tax system. Overall, Casper earned $23,391 for the entire year of driving while his taxable business profit was $11,106. 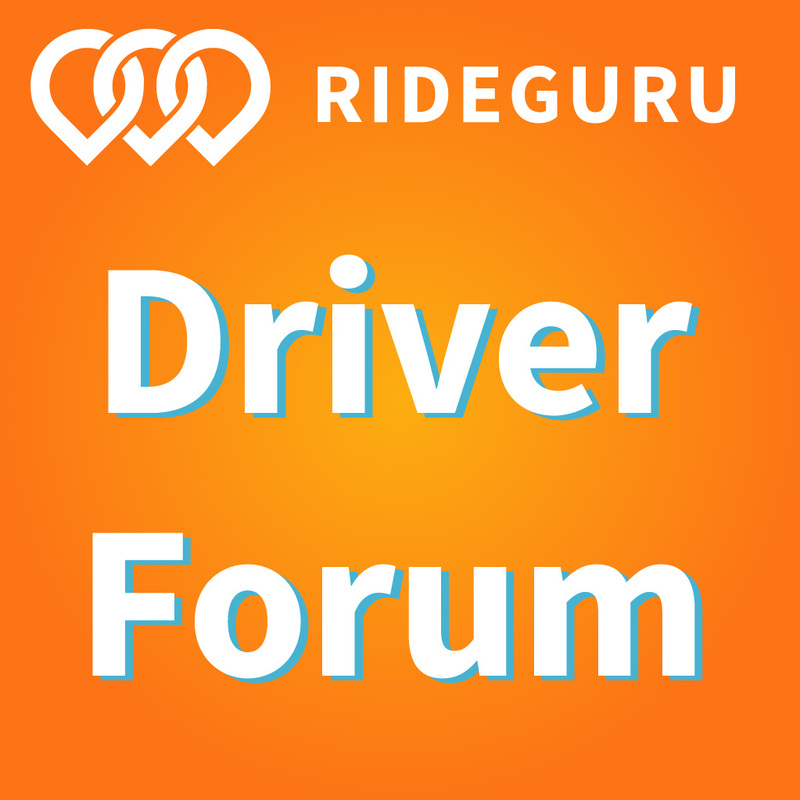 Drivers, what do you think about the true costs of being a rideshare driver? Did we miss anything?